Rodents in your attic or garage need to be removed as quickly as possible! At Bugs & Ashes, we remove rodents as humanely as possible in order to protect your family. Rodents in the attic can slip into your home undetected, or chew through walls to get to your homes interior. Once inside, the rodents can damage your furniture, carpets and curtains, invade your food pantry, set off burgular alarms, and defacate throughout your home. Rat feces can carry disease to both your family and your pets. 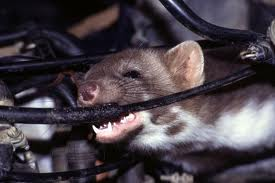 Even if they stay in your attic or garage, rodents will chew through phone, data and electrical wires, HVAC structures, boxes, and anything else they can get their teeth into. Birds can get into a home through chimneys and open windows. Most birds do not want to be in your house, but can cause a lot of damage trying to get out. Bugs & Ashes can quickly and humanely catch and release the birds.